What began in 1977 as a small furniture-making business in the heart of Pennsylvania’s hardwood country has grown into one of central Pennsylvania’s leading woodworking facilities and millwork manufacturers. Our company now occupies a 48,000 square foot building serving the Northeast and MidAtlantic, and though it’s been a long journey from our first small shop to our current state-of-the-art facility, one thing has remained the same: our commitment to quality craftsmanship and innovation. Great materials require great ideas. The creativity and excitement of woodworking has always been the driving force behind what we do, and our shop features both the standard tools of the trade and a collection of amazing machinery. Everything we build is manufactured from the highest quality wood, available FSC certified, and all of our products can be custom designed and custom stained to suit a project. And with our innovative engineering and design solutions, we're able to create products that are affordable, sustainable, easy to install, and of course, beautiful. Each and every client is a crucial part of our company. We work with contractors and architects, design firms and industry-leading manufacturers, large institutions and private individuals, and our goal is that from the very first interaction each client understands that they're a valued member of our community. 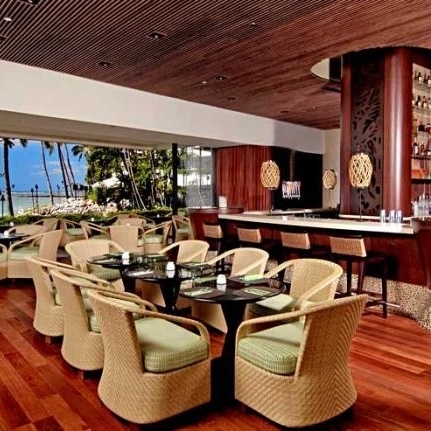 Whether it's a restaurant in Waikiki or a university in NYC, a new build or a complete renovation, we ensure that every project stands out from the rest. We work one-on-one with our residential clients to create customized furniture and interiors. We've collaborated with clients to create burlwood paneling, walnut liquor cabinets, live edge tables, and much more. From product design to prototyping to production and fulfillment, we collaborate with some of today's most promising designers and entrepreneurs to help get their projects off the ground. The forest is a part of the fabric of life in central Pennsylvania, and we believe that responsible forest management isn’t simply good business sense, it’s the right thing to do. Through our practices, we hope to ensure that our forests continue to be one of this country’s greatest natural resources. That’s why we offer products that are FSC® Chain of Custody certified to meet the sustainability standards set forth by the Forest Stewardship Council. In addition to this, our new facility utilizes geothermal heating, and a newly installed dust collector allows us to salvage large wood particles for reuse and has reduced energy consumption by 85%. Keep an eye on our blog to learn more about our ongoing efforts to green our company, and ask us about the availability of FSC® certified products.